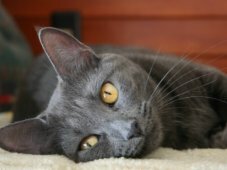 When that happens, it’s important to remember that no matter now inappropriate or inconvenient the behavior, most feline acts are quite normal – for your cat. Simply understanding the normal behavior of cats can help you live with (and even appreciate) your cat’s eccentricities. 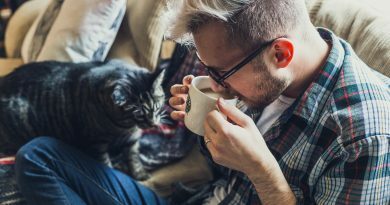 If and when your cat’s behavior presents a serious problem, the situation can be tackled with the help of a behavioral specialist or your veterinarian. What kinds of behavior problems do we see in our pet cats’ The most common, by far, is urination and defecation outside the litter box. Although a life-long prevalence study has not been done, chances are good that every cat will have an "accident" at least once in her life; after all, cats naturally seek unsoiled substrates in which to do their business. Whether or not a single event will develop into a repeated problem is unclear, but by far your safest bet is to try to prevent this from happening in the first place. As a general rule, you need at least one litter box for each cat in your home (single cats benefit from having at least two boxes). Another formula to use is the one-box-per-cat-plus-one-box rule: So if you live with three cats, that would add up to four boxes. Having enough boxes ensures that each cat will always be able to find a box that is clean, convenient, safe and private. Another cause of out-of-box accidents is urine spraying, which is usually a territorial behavior. It is best treated by reducing the environmental or social stress that caused it. If your cat does miss the box one day, a potential headache may be averted by seeking help right away. The social behavior of cats is also often in conflict with our expectations. Many cat owners make an incorrect assumption that cats are happiest in numbers. In fact, given the choice, many cats will either live alone or will develop relationships only with a select group of others. Introducing an unfamiliar second or third cat into a household often leads to long-term conflicts. Cat owners are understandably upset when their pets hiss and bat at one another. Understanding that one cat’s irritability does not imply "hatred" toward another can help owners live more peaceably with cat behavior. When intercat conflicts occasionally result in fighting or loud chases, the problem can often be helped by a professional. The rules of feline social behavior also extend to human family members. It is normal, again, for cats to occasionally assert themselves. Some cats, for example, simply do not enjoy long petting sessions, and may bite the hand extended to them; others will tolerate and invite endless stroking. Such personality differences cannot be changed, and the most harmonious households are those that accept them. But if irritability or aggression is serious and has the potential to harm family members, it is advisable to seek professional help. Less serious, but equally bothersome behaviors include middle-of-the-night vocalization and playfulness, jumping on kitchen counters, and clawing the expensive couch. Cats have work to do, after all, and few will miss an opportunity to do something that they consider fun. For cat lovers, such misbehaviors often double as endearing personality traits. It may be reassuring to know, however, that help is available if lack of sleep, paw prints on the counter or puddles on the floor become a problem. Jun 29, 2017 admin Comments Off on Do Cats Have Emotions?